Ten people, including five militants, were killed while several others were injured in three separate incidents of violence in Khyber and Orakzai agencies. At least five militants were killed and six others were injured late Saturday in a clash between security forces and militants in Bara town of Khyber Agency. One security personnel was also injured. The exchange of fire took place in Jhansi Qila area of Bara. Security forces cordoned off the area and started a search operation. Sources said that the militants were affiliated with outlawed Lashkar-e-Islam militant group. This information could not be independently verified as journalists have limited access to the tribal agency. In a separate incident, a woman and two children died as a mortar shell fired from an undisclosed location hit a house in Akakhel. Four others of the family were injured in the incident. 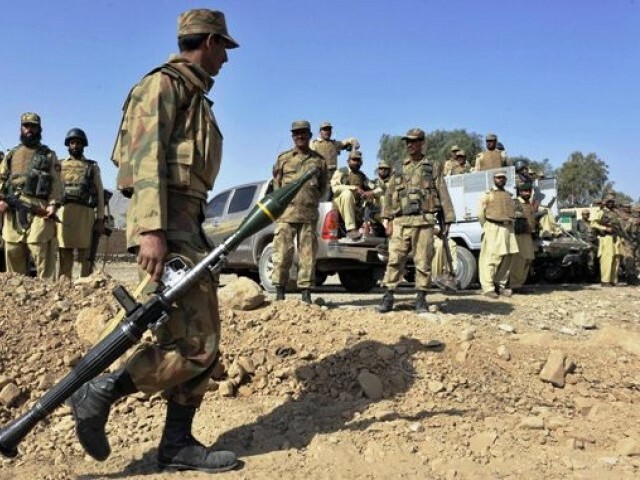 The clash between militants and security forces comes as Pakistan’s military continue with their intelligence-driven operation Khyber-1 aimed at targetting militant hideouts in areas under Mangal Bagh-led group’s control in Tirah and Bara. The latest operation was launched amidst Operation Zarb-e-Azb, a full-fledged military operation being conducted by the Pakistan Army against Tehreek-e-Taliban Pakistan (TTP) and other militants in North Waziristan Agency (NWA). Khyber is among Pakistan’s seven semi-autonomous tribal agencies near the Afghan border, rife with homegrown insurgents and foreign militants. These agencies are also home to religious extremist organisations including Al Qaeda. The plains of Bara hold strategic significance for militant groups as they connect the agency to the outskirts of Peshawar. The area has previously been used by militants to attack police and military posts in and around Peshawar. In the meanwhile, three rockets were fired at the office of a political administrator in Orakzai Agency, killing two officials and injuring two others. The injured were shifted to Combined Military Hospital (CMH) for medical assistance. Earlier on November 1 in Orakzai Agency, eight paramilitary troops were killed and four injured when militants stormed a checkpost. The deadly attack triggered retaliatory action by security forces which left 20 militants dead.